The Marantz M-CR510, which we reviewed, finaly got a successor. 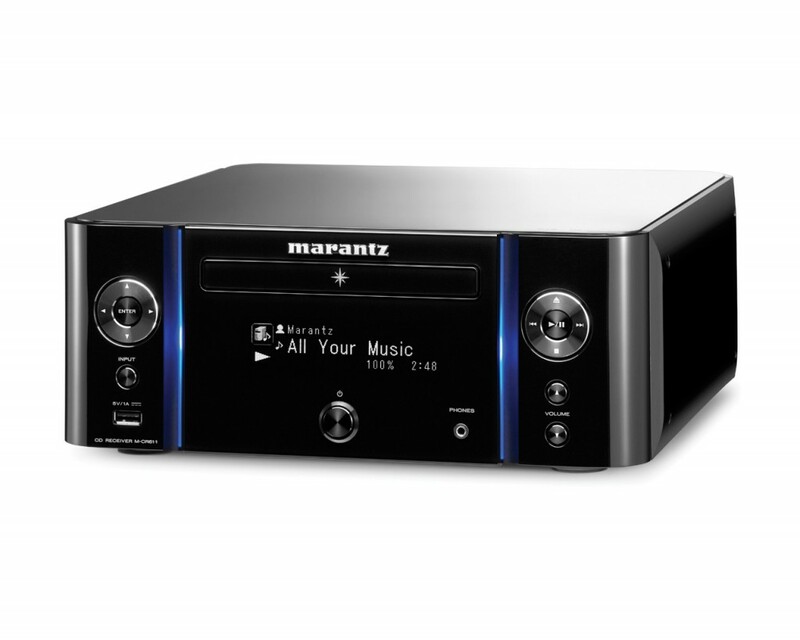 Marantz M-CR511 and Marantz M-CR611 is the name of the 2 new models in the Melody series. The blue light you see on the sides is possible to change into 3 different colours; Orange, Blue, White or off! 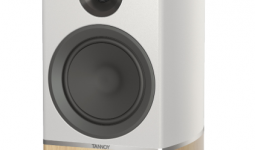 Marantz Melody Media M-CR610’s follower is the M-CR611. The Black version is the same design, but the white version, is a bit different, with a more green colour in it, as far as we could see at the show. Spotify Connect, instead of Marantz’s own Spotify application. And another difference is that the M-CR611 now got “PREOUT” instead of the just “AUDIO OUT”, which for people with active speakers is a big big plus! Besides that the M-CR611 now got a DSD capable D/A converter. Powerwise it is exactly the same as the M-CR610, with 4x30watt or 2x60watt @6ohm. M-CR511 comes packed with the same features with bluetooth added, spotify connect and is DSD capable. Pricing is will hit 499€.